People will always be interested in where you got engaged, imagine if you could answer ‘on the deck of a private cruise boat watching the sun set across the Flores sea’ or ‘picnicking with elephants in a jungle clearing in a remote corner of Northern Thailand’? If you want to begin your engagement in a totally unique way then our proposal holidays are designed to bring you to a truly inspired location to ask that life-changing question. We believe there’s no finer way for romance to blossom than through effortless, luxury travel and so we’ve hand-picked a selection of our most unique and exclusive Experiences holidays all featuring some incomparable moments for you to propose. Take a look at our most popular proposal holiday destinations below or give us a call and we can discuss an individually designed trip with your proposal highlight at a location and time that suits you best. 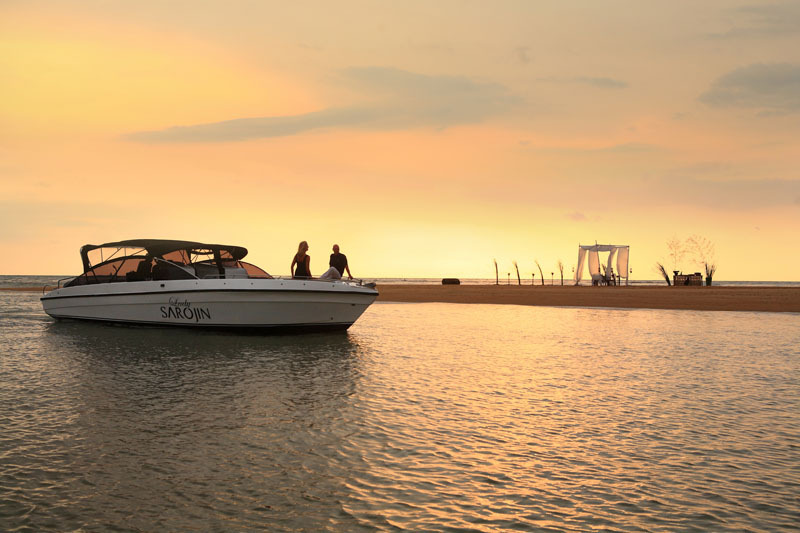 Picture yourselves enjoying an indulgent week of luxury in an exquisite, beach-side villa in Bali… but on the morning of the fourth day, to your partner’s complete surprise, you pack your bags and are flown away to board this beautiful Phinisi boat. 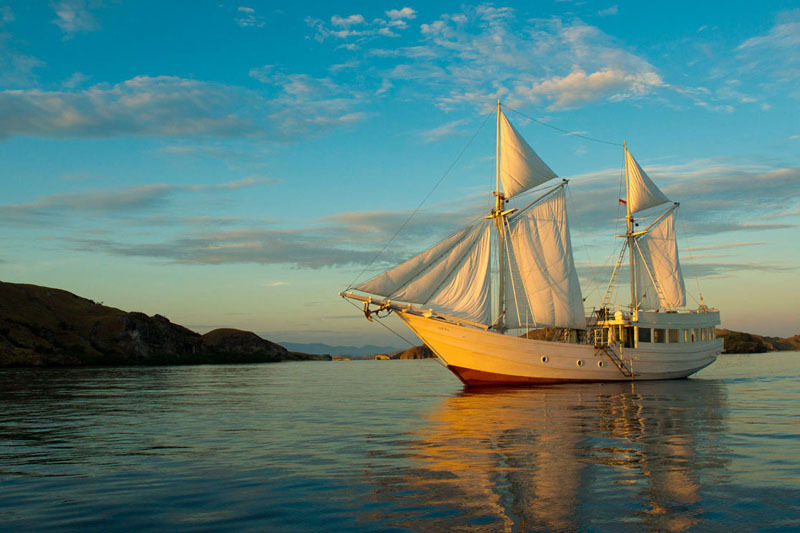 Designed for a couple to enjoy a five-star, private cruise through the Flores Sea to the mystical island of Komodo this cruise is an unrivalled way to explore this secluded part of Indonesia. Call us on 0203 824 8444 to make your dream engagement proposal a reality. 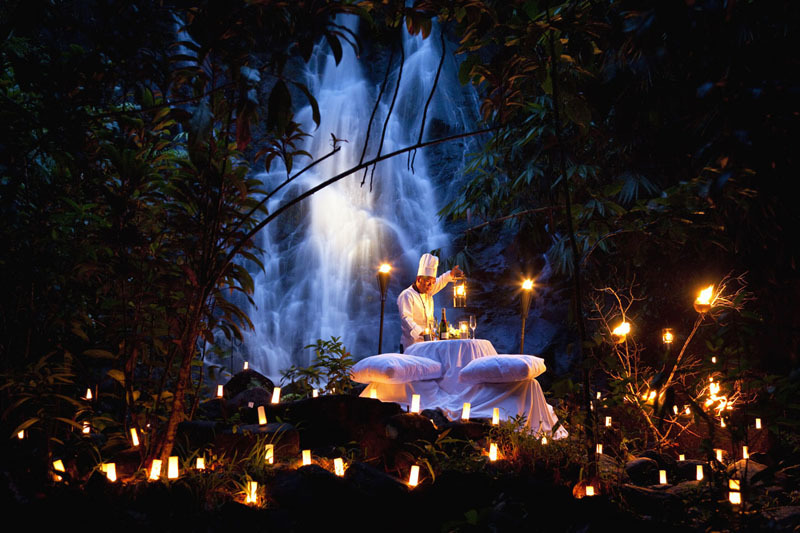 There’s nothing like a lavish spa holiday to bring you together and The Sarojin is one of Thailand’s most prestigious spa retreats. Located on the beautiful west coast of Thailand, looking out across the turquoise Andaman Ocean and set in lush and tranquil gardens, this place takes relaxation and pampering to the ultimate level. Every detail of your stay is designed to impress and leave you both feeling rejuvenated and serene… then, one night, instead of taking your usual table under the ancient fig tree at the resort restaurant you make a detour and are met by two elephants who bring you and your partner to a clearing by a breath-taking waterfall. But then a short flight and a VIP ride in a longtail boat to Lanna in Northern Thailand brings you to the enchanting elephant camp jungle retreat. 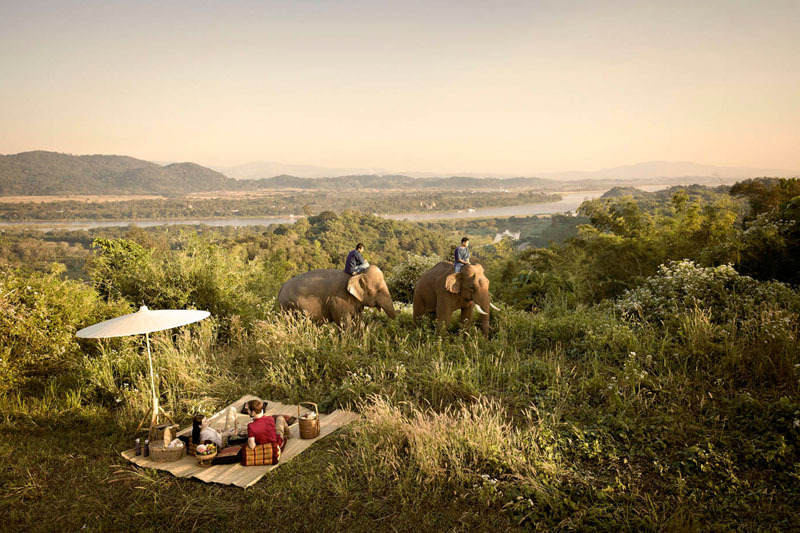 Amidst acres of bamboo forest, rice paddies and lush gardens, Asia’s premier elephant camp overlooks the fabled Mekong and the borders with Laos and Burma.